Discussion in 'Fishing Chatter = anything to do with fishing' started by mak, Jun 22, 2018. I’m going to be over near Destin all next week for a family reunion. My trailer is no no shape for a trip that long. I figured I would try the jetties at least one day and maybe the pier another. Can anyone recommend a good party boat for an offshore trip? It’s probably been decades since I've been out on a party boat so not sure if it will be worth the potential frustration dealing with the close quarters... I’m too cheap to charter a solo private trip and nobody else in the family has enough interest in fishing to want to share the cost. Destin is a beautiful beach. I can recommend restaurants, but do not know any party boat companies. I’m sure the rest of the family will love it. I’m not much for hanging out on the beach and I think the place he has rented is in an area that will make surf fishing unlikely. The two I liked was Dewey's and Jim n Nick's BBQ. Well, I’ll answer my own post. I stirred up enough interest with three in the family to charter a boat for just the 4 of us and not hassle with a party boat. Ended up having a good 8 hr trip with Harold of the Al-Lin on June 27. We limited out on Red Snapper and loaded up on Vermilion, Gray, and Lane Snapper. Also caught about 8-10 nice Triggerfish, a nice Amberjack, and an odd fish or two. Sadly we didn’t pick up any grouper (but not for lack of trying) or get to snag a Wahoo or King while trolling in or out. Went 28 miles out so also didn’t get in as much fishing time as I had hoped but the guys were worn out anyway. The mates were attentive and worked hard. Seemed to have done great compared to the other boats in at the same time. First time saltwater fishing for any of the three with me and they had a good time. Glad to see that you were able to find a charter that was able to provide you with a good day of fishing. Sorry that I wasn't able to give you any suggestions but I haven't done much fishing in that area. 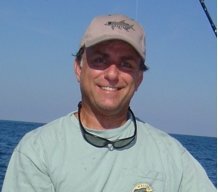 you should post all reports as a separate fishing report. You guys had fun - looks like a serious pile of fish there - family reunion fish fry! I went out on the Destin Princess a few years back for 1/2 day trip - caught 2 red snapper and a pile of vermillions. Boat was lean, tackle was decent, mates friendly, etc. I'd go again. Just have to remember that it is a party boat and there will be tangle issues with other folks. I googled the boat and saw it is like $60/head for 1/2 day.